Do not play beside your beauty. Where is the beauty of the actor? Beauty is a big part of the Game. Be beautiful. The body: Give everything to the audience – the parts you move/shuffle are parts you don’t give/offer up to an audience to enjoy. Don’t be a miser. Find the game in everything. A clown doesn’t understand but wants to play anyway. When you don’t understand, a clown says “Aaahhhh! it’s INTERESTING! 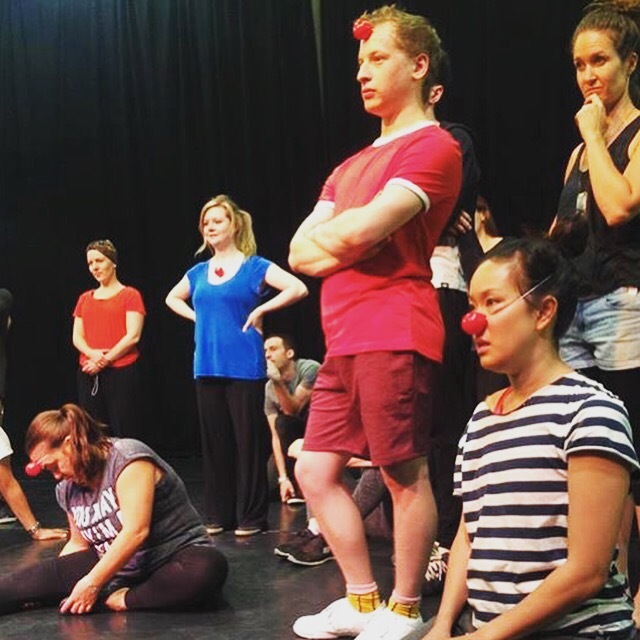 The clown has misunderstandings – between what they want and audience. It’s about having bad timing between clown and spectator. They don’t laugh now? Aha their laugh is delayed or to come! Audience laughs at the stupidity of the clown not at the gag.